Fish Factor: Plan to Pull Fish Taxes From Coastal Towns Subject of Hearing By LAINE WELCH ) - None of the members of the Senate Community and Regional Affairs committee (CRA) lives near the sea, but at a hearing last week they were not impressed by Governor Dunleavy’s plan to pull millions of dollars in fish taxes from remote coastal towns. Over 20 mayors, financial officers, harbormasters and fishermen testified against the tax grab at the CRA and outlined how it would devastate coastal Alaska. Senators Bishop (R-Fairbanks), Birch (R-Anchorage) and Gray-Jackson (D-Anchorage) asked Dept. of Revenue Commissioner Bruce Tangeman if there had been any communication with communities about the fish tax loss, or any economic impact analyses done. Tangeman said the governor intends to share 50 percent of state alcohol tax revenues through a community assistance program to soften the loss, about $20 million. Senator Birch asked about the motivation behind allocating alcohol taxes to the fishing towns. “Is this bill a priority of the Dunleavy administration?” asked Senator Bishop. Southeast Alaska: First time NOAA Fisheries has had a report of a dead sperm whale in Alaska's Inside Passage - It was a rare find: a dead sperm whale washed up on a beach in Alaska's famed Inside Passage in Southeast Alaska. Sperm whales, which are endangered, usually hang out in deeper, offshore waters. 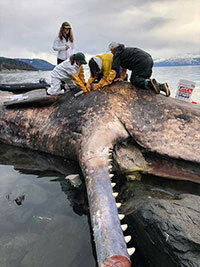 This one-a 48-foot long male-was found beached on the east side of Lynn Canal, north of Berners Bay near Juneau. "This is an exceptional opportunity for a marine mammal biologist," said Kate Savage, NOAA Fisheries lead veterinarian on the necropsy. "There are a lot of unknowns around sperm whale biology and life history in Alaskan waters, so we could learn a lot from this stranding." On March 20, 2019 a team led by Savage collected the whale's teeth to determine age, blubber to check for contaminants, and a variety of tissue samples to examine DNA and other health indicators. "We have photos of only three individual sperm whales which have been sighted in Chatham and Lynn Canal, and we would love to know if it is one of those individuals," said necropsy team member Lauren Wild, a doctoral student with the University of Alaska Fairbanks College of Fisheries and Ocean Science who works with SEASWAP. Local solo artist Tony Johnson opened the event with an hour-long set of hits from multiple genres. Ketchikan: Nam Jam honors, raises money for veterans through music - Ragnar Myking Veterans of Foreign Wars Post 4352 hosted the First Annual Nam Jam event on National Vietnam Veterans Day, March 29th to honor the service of veterans past and to raise money for veteran relief in Ketchikan. 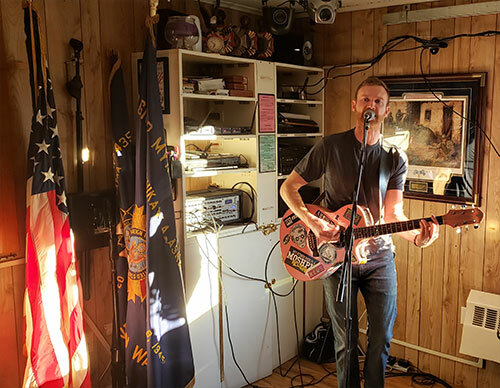 With nearly 100 people in attendance, and $1,155 raised for the post’s local veterans’ relief fund through ticket sales and donations, the first annual Nam Jam was declared a rocking success. Ketchikan: Isom Resigns From City Council - The Ketchikan City Clerk’s office received a letter of resignation on March 18, 2019 from Council Member Julie Isom in which she cited she will be relocating to another area of Alaska as her reason for resigning. Julie Isom was first elected to the City Council on October 6, 2015 for a one-year seat and was subsequently re-elected in 2016 for a three-year seat. Her term expires in October of 2019. 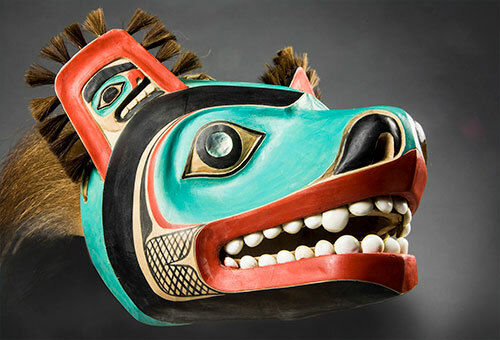 Southeast Alaska: New exhibit on celebrated Tlingit artist Nathan Jackson to be Unveiled; Exhibit shows breadth of work from early days to present - Sealaska Heritage Institute (SHI) will unveil a new exhibit this week featuring the work of Tlingit master artist Nathan Jackson, one of the most renowned and internationally recognized Tlingit artists of his generation. The exhibit, Yéil Yádi-Raven Child: A Nathan Jackson Retrospective, will show Jackson's work from his earliest productions to his most recent, beginning from the early 1960s and spanning to the present day. "The exhibit allows the viewer to see the evolution of an artist who over decades mastered our ancient art practices and eventually developed his own unique interpretation," said SHI President Rosita Worl. "We are thrilled to feature the work of Nathan, who is celebrated among the Native community and by the nation." 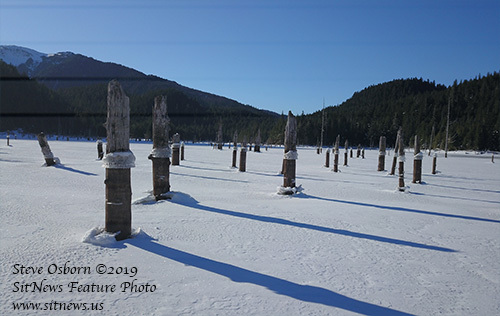 The exhibit will open at the Walter Soboleff Building in Juneau at 4:30 pm, Friday, April 5, 2019, during First Friday and will close Oct. 15, 2019. Visitors are welcome to explore it free of charge on April 5th. Everyone is welcome. Jackson, the leader of the Lukaax.ádi clan, is highly esteemed in the Native community for his mastery of Northwest Coast art and for his willingness to teach the art form to succeeding generations. He learned to carve at a time when Native people were in danger of losing traditional knowledge, and he has aimed to ensure that the traditional art forms are not lost. Many emerging Northwest Coast artists have been the benefactors of his mentorship and wisdom. He is also known worldwide and has won acclaim from the United States and collectors across the globe. He was recognized as a master traditional artist in 1995 by the National Endowment for the Arts, the nation's highest honor in traditional arts. TOM PURCELL: Tax Time: Better to Laugh than Cry - Tax season is upon us, which gives us a choice: Laugh or cry. I choose to laugh. RE: Southeast Community Meetings – Public Comment Overview By Byron Whitesides - Dear Representative Ortiz: Just got done reading your letter on Sitnews about your townhall meeting and how you perceived what the public response is by this testimony. First, the public testimony is biased, as the special interests ALWAYS organize their groups and flood the meetings, second, many Alaskans are not able to be there to speak. Many have to work or other obligations. 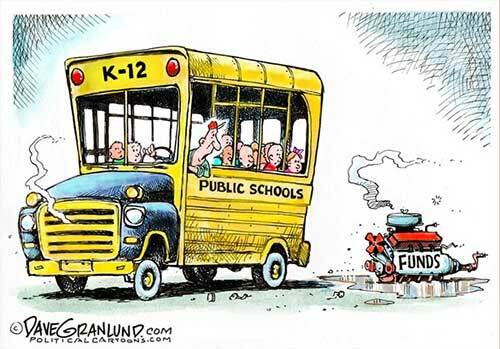 I have also been reading online about other townhalls around the state, and those attending posted comments and said the applause at these events went to speakers who opposed using the permanent fund! Middle School Music Day Concert By Judith Green - Ketchikan and surrounding communities have a wealth of talented beautiful young people. The Middle School Music Day Concert Friday night March 29 @Kayhi was awesome. Schoenbar Middle School and Ketchikan Charter School, along with Metlakatla and Klawock Middle School students participated in this wonderful event. Such great looking young people. All were attentive and enjoying the experience in coming together to share their musical talent. The guest conductors each expressed the due diligence of each school and student.